1681: his name appears for the first time in the Kabuki records, as a katakiyaku actor performing in Ôsaka for a yearly salary of 35 ryô. 1st lunar month of 1690: Jûdayû successfully plays in the drama "Ume no Yoshibê", which is produced in Ôsaka by Iwai Hanshirô I. 1691: Jûdayû goes to Kyôto; he plays the role of Hirayama Sueshige in the drama "Ichi-no-Tani Sakaotoshi", which is produced by Yamatoya Jinbê II. 3rd lunar month of 1693: Jûdayû plays in Ôsaka in Chikamatsu Monzaemon's drama "Butsumo Mayasan Kaichô", which is produced by Iwai Hanshirô I and stars Sugiyama Kanzaemon I, Iwai Sagenta I and Murayama Heijûrô I; this production is a success and a long run (150 days). 1697: Jûdayû performs as a katakiyaku in Ôsaka at Ôsaka Tazaemon's theater, with the troupe led by Araki Yojibê I. Jûdayû's stage partners are Kanazawa Goheiji, Kokon Shinzaemon, Katsuyama Ôhashi, Kamogawa Noshio I, Fujii Hachijûrô, Takashima Onoe, Dekishima Kosaburô, Yamamoto Kantarô, Iwakura Man'emon, Iwamatsu Kizaemon and Takeshima Shichisaburô. 3rd lunar month of 1707: Jûdayû's rank in the Ôsaka hyôbanki, katakiyaku section, is jô-jô (superior - superior). 11th lunar month of 1707: Jûdayû plays the role of the senior retainer Nishikito Chikaranosuke in the kaomise drama "Onna Daimyô Irekozan". 1st lunar month of 1708: Jûdayû's rank in the Ôsaka hyôbanki, katakiyaku section, is jô-jô-kichi (superior - superior - excellent). 1st lunar month of 1711: Jûdayû's rank in the Ôsaka hyôbanki, katakiyaku section, is jô-jô-(shiro)kichi (superior - superior - (white) excellent). 11th lunar month of 1712: Jûdayû plays the role of Denjunojô in the kaomise drama "Inari Daimyô Shintaku no Kamado", which is produced in Ôsaka by his son Mitsuyama Shichisaburô. 1st lunar month of 1713: Jûdayû's rank in the Ôsaka hyôbanki, katakiyaku section, is jô-jô-kichi (superior - superior - excellent). 1st lunar month of 1714: Jûdayû and his son Mitsuyama Shichisaburô go to Kyôto; the latter produces at Ebisuya Hatsudayû's theater the kaomise drama "Toshitokujin Midoribune", in which the former plays the role of Sakaya Tôbê. Jûdayû's rank in the Kyôto hyôbanki, jitsuaku section, is jô-jô-kichi (superior - superior - excellent). Fall 1714: Jûdayû goes back to Ôsaka. 11th lunar month of 1714: Jûdayû plays the role of Katsuodera Genba in the kaomise drama "Yonedawara Mangoku no Minato", which is produced at Ôsaka Tazaemon's theater by Shinozuka Shômatsu II. We don't know what happens to him afterwards for he disappears from the records. Mihara Jûdayû I was an important katakiyaku of the Genroku era. He spent all his career in Kamigata and was placed very high in the actors ratings at the beginning of the 1710s. 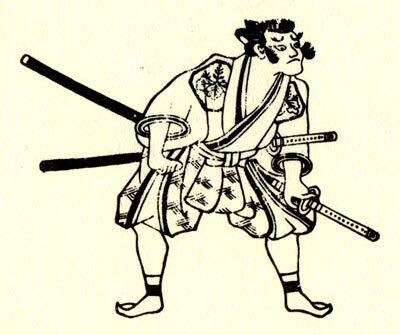 He was nicknamed katakiyaku no taishô ("the boss of katakiyaku").